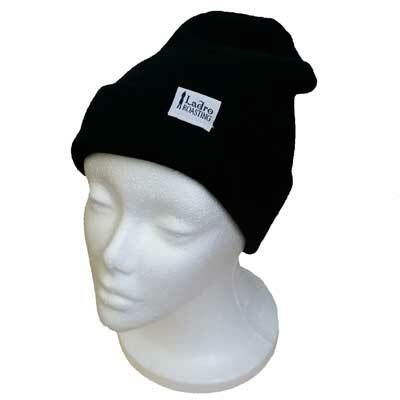 Soft cotton Ladro Roasting knit beanie. Black and white logo tag is reversible so it's legible when worn either rolled up or slouch. It's our new favorite hat!